Thanks for your use or future use of LAPAR series products and your attention to LAPAR. LAPAR, headquartered in Milan, Italy, is one of international brands in the field of fluid control. With a history of 30 years and more, LAPAR has received broad recognition from global customers with complete network system, outstanding product quality and integrated customer solutions. In 2005, LAPAR entered into Chinese market and authorized Shanghai Lapar Control Valve Co., Ltd. (hereinafter referred to as Shanghai LAPAR) to work as an agent of LAPAR products. Later, assembly and testing parts of LAPAR product production line were introduced to Shanghai LAPAR. 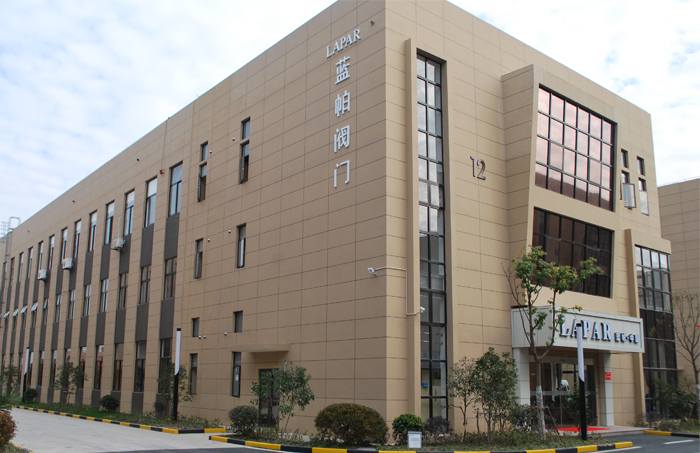 Currently, Shanghai LAPAR has obtained production authorization from LAPAR and successively introduced systematic LAPAR product production lines and become an Asian headquarters of global network system of LAPAR, responsible for LAPAR's affairs in the Asian-Pacific region. Currently, LAPAR has formed a product pattern in the Asian-Pacific regions, involving over 20 series, such as butterfly valve, ball valve, control valve, stop valve, gate valve and check value. LAPAR strictly carries out quality standard systems, such as ISO, API, ANSI, DIN and GB. Products are widely used in such industries as environmental protection, machinery, power, petroleum, air separation, chemical, food and medicine and sales network covers 32 provinces and cities of China and each country in Southeast Asia. Adhering to LAPAR's corporate concept of "Quality first, credit standing paramountcy, service oriented, pursuit of excellence", Shanghai LAPAR follows LAPAR's integrated solutions and provides overall services before, during and after sales, including design, model selection, manufacturing, service, installation, maintenance and instruction. At present, Shanghai LAPAR retains elites of the former Chinese team of LAPAR and actively conducts cooperation with universities to train new technological talent and continuously optimizes product structure, improves technological content and keeps improving relying on technological innovation. There is no best but better. Your demand is our eternal pursuit. Copyright © 2015 Lapar Control Valve. All rights reserved.